This paper uses simulation modelling techniques and presents summarized model outputs using the balanced scorecard approach. The simulation models have been formulated with the use of empirical health, clinical and financial data extracted from clinical data warehouses of a healthcare group. By emphasising the impact of strategic financial and clinical performance measures on healthcare institutions, it is argued that hospitals, in particular, need to re-focus cost-cutting efforts in areas that do not impact clinicians, patient satisfaction or quality of care. The authors have added a real time component to business activity monitoring with the executive dashboards shown as graphs in this paper. 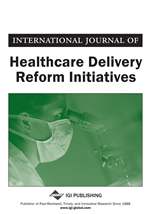 This study demonstrates that it is possible to understand health policy interactions and improve hospital performance metrics through evaluation using balanced scorecards and normalized output data. Evidence from this research shows that the hospital executives involved were enthusiastic about the visual interactive interface that provides the transparency needed to isolate policy experimentation from complex model structures that map strategic behaviour. The provision of health care is a complicated activity requiring a multitude of skills, experiences and technologies. No one person or discipline can be responsible for poor or excellent performance. Similarly, hospitals are complex organizations that cannot be measured on a single dimension of performance. A balanced scorecard includes financial measures that capture the organisation’s ability to survive and grow. However, it complements financial measures with operational measures on customer satisfaction, internal processes, and the organization’s innovation and improvement activities (Caldwell, 1995). If well chosen, these operational measures capture the organisation’s operating performance, which is the ultimate driver of both current and future financial performance. The power of the balanced scorecard derives from its ability to present a succinct yet multifaceted picture of an organization to top management and a board of directors. A “balanced scorecard” for measuring the multiple dimensions of hospital performance is shown as four quadrants in Table 1. Describes PCH's ability to adapt, including how clinical information technologies, work processes and hospital-community relationships function within the hospital system. Average marginal costs per patient. These cardinal dimensions are visually represented in radar chart format so that the simulated outcomes across the dimensions under different combination of hospital policies and scenarios can be visually compared against a reference baseline for these metrics. The Balanced Scorecard approach to represent the results was then integrated the simulation outputs so that each time a policy variation or scenario was tested, users could see the differences across all dimensions simultaneously the impact of the policy variations.